Just like in Canada, accommodations (or housing) was our largest budget line item. Our housing generally accounted for 25-40% of our budget. We stayed in a variety of housing situations while traveling, and that was intentional. We wanted to explore a variety of different ways to live as a part of our adventure. 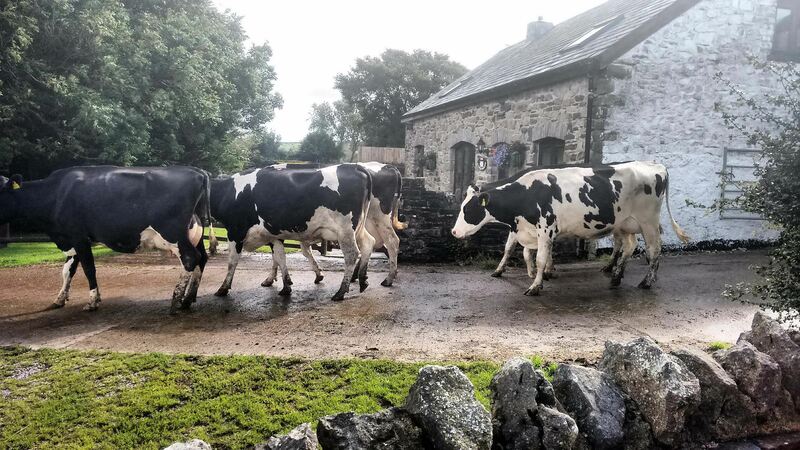 Stay on a working dairy farm in Wales. Jump into the pool just outside our villa in Portugal. Live in a cottage on the side of a mountain in Ireland. Sit on the rooftop drinking masala tea while we looked at the Taj Mahal in India. View beautiful sunsets on and near the beach in Australia. Live at a Muay Thai school in Thailand. 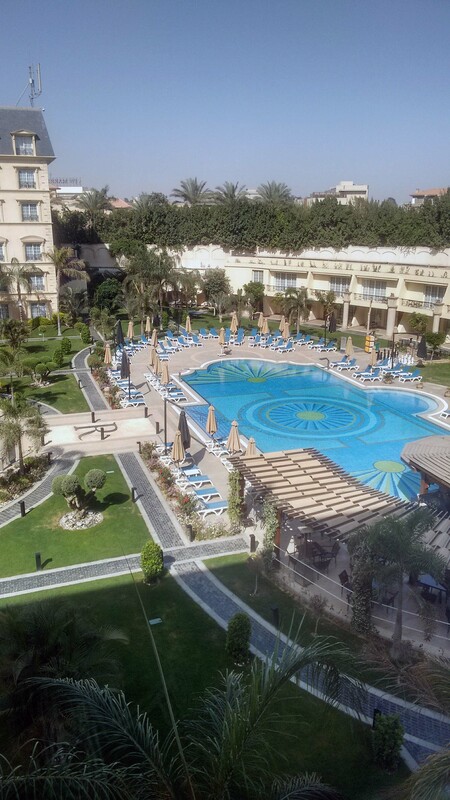 Stay in a former palace in Egypt. 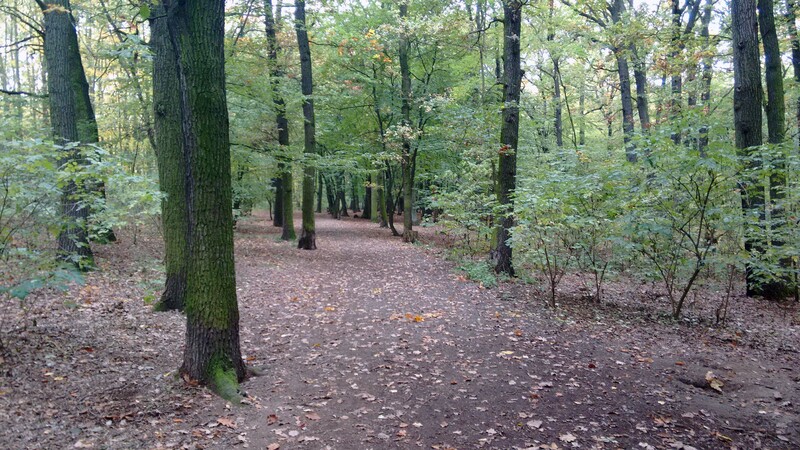 Escape into the nearby forest from our apartment in Prague. Each one of these experiences was an adventure unto itself. We got to “live” a bunch of different ways simply through staying in different places. We also got to learn a lot about what we liked (and didn’t like) about different living situations. The “Sharing Economy” has made longer-term world travel easier in a few ways. One of those ways is through the increase of vehicles available for renting/swapping/sharing homes. Our longest rental (Penang) came about really in a fluky way. We sub-let the apartment of another travelling family who were in a bit of a bind, and needed to go back to Australia for a while. There were logistical challenges with that rental (primarily in dealing with their local agent), but overall that was a good experience. We hear stories about a lot of people who go to a location with only their first couple of nights booked, and then find a place to rent while they are “on the ground” there. I admire their ability to do that. We attempted that in Thailand, and it didn’t go so well, and we never tried it again after that. I’ve come to realize about myself (as a mother), that if I don’t know where my family is going to stay for the night, I stress. So, as a result, I generally book our accommodations six or more months in advance. That is my comfort level. Something to keep in mind with most vacation type rentals and sites, is that you need to pay for a significant portion (if not all) of the cost in advance of arrival. So, the amount of buffer you have in your budget, can impact how far in advance you can book accommodations. We used two main tools to book our longer-term rentals, Airbnb and VRBO. These sites allow you to find a furnished “home” to rent, for longer periods. Both tools, allow you to narrow your search by price, and amenities as well. Our “base” criteria have always to ensure that the rentals had a kitchen, 2+ bedrooms, 3+ beds, internet and a washing machine. When we were able to rent a vacation home or apartment, with a kitchen in it, that meant that we could cook many of our own meals for ourselves. One of our crew has a pretty serious allergy (gluten), so often cooking at home is the safest way to ensure that she doesn’t get sick. It also allows us to keep our food budget at a reasonable level in more expensive countries. Since none of us like to be around each other when we smell bad… laundry facilities within our rental homes were important too. And, having easy and regular access to laundry allowed us to pack lighter. As both Marcus and I work virtually, and both of our kids get their main entertainment online – internet was also extremely/super/incredibly (you get the picture…) important in our accommodations. If you ask Artie what he thought of Thailand, without skipping a beat he will tell you that he hated it… because the internet was bad. Unlike hotels, with rental homes and apartments… you are rated as a guest. And, if you are a bad guest… you may have trouble booking accommodations in the future. I personally find this aspect a bit stressful. I find that I make the “shhhhhhh” noise a lot with my family and utter the words “Keep your voice down” more than I would like. We always strive to leave the accommodations in really good shape, so the final cleaning up before we leave means that we often can’t plan or schedule much for our last 24 hours in a rental. I also carry a package of thank you notes in my back pack, and take the time to leave one for our hosts when it has been a good experience for us (and almost all of our rentals have been good experiences). While Airbnb started out as a way for people to share their homes (and make a bit or extra money in the process), it has evolved over the years into more of a vehicle for finding a wide range of furnished rentals. We were nervous at first about using Airbnb for accommodations, but have nothing but good things to say about it now. If something does go wrong with a rental accommodation, that isn’t being resolved by the host, Airbnb customer service is exceptional. They have some of the best customer service that I have ever encountered, so know that you won’t be on your own if you choose to book through them. Do however, always make sure that you use their platform for your communications with the host. We used Airbnb throughout Europe, and for most of our rentals here in Mexico. For longer-term rentals, Airbnb requires that you pay for the first month (28 days) up front, and then charges you as you go along for subsequent months. This makes it a more favourable vehicle rental than some others which require you to pay in full, in advance for the rental. We’ve gotten discounts of up to 70% off the nightly rate by booking for a month or longer. The second site that we used for booking longer stays, was VRBO. The biggest difference that I found between VRBO and Airbnb was the customer service. Airbnb takes on accountability for the experience that guests have. With VRBO, you are pretty much on your own. Fortunately, we had good experiences with all our VRBO rentals and all of the owners were great to deal with. Most owners really use VRBO more for advertising than anything else, so it was not unusual for them to request that we book with them more directly (and they offered a better rate for doing so). We didn’t have any problems doing this, but it may be something that others are uncomfortable with. Because we were Marriott Rewards members, and because our primary international credit card gave us significant Marriott Reward points for using it, we opted for staying in Marriott hotels whenever possible. Unfortunately, the credit card that offered those points (Marriott Rewards Visa) ceased to exist for Canadian customers recently. We are really bummed about that. We used our rewards points for our stays in China, Egypt and to pay for all our hotels on our road trip down to Mexico. Our other hotel stays, were booked through a variety of different sites. We used Expedia, Booking.com, and Agoda. I can’t say that I prefer any one of those, or that any one has offered us better deals than another. We did have a couple of surprises though when using Booking.com, where our accommodations ended up being less pleasant than we expected. So, I would advise using caution and look carefully at what you are reserving when you use that site. When travelling long-term, I think that it is important to remember… you will spend the majority of your time in your accommodations. That is where our sleeping, eating, work and school work all occur. We didn’t always choose the “cheapest” place to stay throughout our travels, but tried to find a balance between comfort, price and the adventure that each location provided to us.